Riggi Paving Inc. specializes in interlocking pavers and retaining wall construction in Bergen County NJ and the surrounding areas. 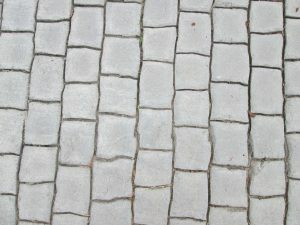 Interlocking pavers are, as the name suggests, paving blocks that connect or lock together. The blocks are joined either by flanges that overlap or by pins. Regardless of the type of connectivity, interlocking pavers create a uniformity that emits a neat and tidy appearance. Excavation and preparation are essential elements to the construction of a retaining wall, regardless of the materials being used. A retaining wall is meant to keep a slope in place, securing the earth and protecting the adjacent and below space. As such it is instrumental to prepare the soil beneath and behind the wall. Some retaining walls are bigger than others, a larger more complicated wall requiring experience and even some engineering. In other cases it is less engineering and more elbow grease or even a need for large equipment. Soil composition and drainage are two other key elements. Whether your retaining wall is meant for edging a garden, shoring up your backyard, or serving as a wall to your driveway, the better the attention to its design and construction the more likely it will stand the test of time. Riggi Paving Inc. is a family owned and operated company that prides itself on quality, including when building retaining walls or implementing interlocking paver designs in New Jersey. Our team welcomes the opportunity to help you with your interlocking paver and retaining wall construction. Contact us for design and layout consultation, and later construction of your paving and retaining wall needs.